Looking at a very long-term view of the Dow on the weekly chart, price reached a peak high on Oct 7th, 2007 at 14198.00 and reached a low on March 1st, 2009 at 6474.09. 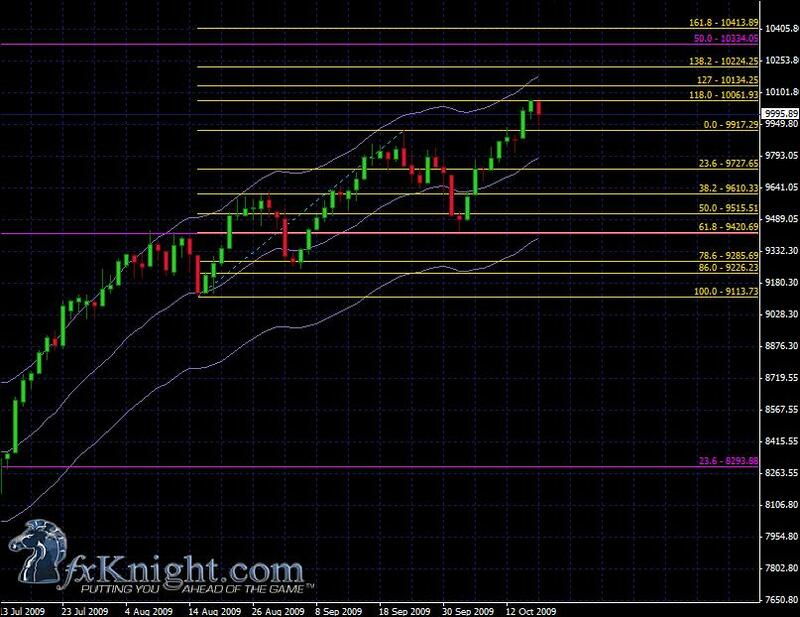 As of this writing, the Dow is currently about half-way between the 38.2 and 50.0% retracement levels of this move. Last week price snapped to the 118% extension on the daily and bounced down.